A client recently asked me to put together a presentation for his newspapers on nitty-gritty details that can make or break a design. I came up with just a bit more than a couple dozen. But thinking about them more, I’ve now narrowed them down to a top ten. My thinking is that any one of these can make your design better, but leave one out and your design suffers. Measure in picas and points. Sure, continue to express the depth of ads and photos in inches. But for everything else, picas and points are the best way to measure elements and spacing. Align text to a baseline grid. This gives your newspaper a more planned, polished and professional look. And, once your designers master use of the baseline grid, it will make editing and design go more quickly and more easily. Use a dominant photo. Give readers one photo that leads the package. Placing a number of two-column by four-inch photos on your sports front just creates clutter. Control story length. Ask readers: They’ll tell you they will only read about 12 to 15 inches of a story…and then their attention wanes and the look for something else. Train your writers to keep stories within the 12-to 15-inch limit. Segment stories If you have a story that requires more length, look for ways to break it up. For example, a story about five candidates running for a county judge position need not be one article that’s 50 inches long. It can be five pieces, each about 10 inches, and packaged together on the page. Control color use. There’s a temptation to use color just because you have it. Let’s not. Proper, controlled, subtle color can give your paper a refined, more credible feel. Poor use of color just makes you look cheap. Control content placement. Readers expect to find specific content in the same place from issue to issue. Obituaries, for example, should not move from page 2 in one issue to page 6 in the next and page 3 in another. Consistent placement is key. Use consistent design. Consistent design also is important. Keep your design elements, such as column sigs and standing heads, reflective and consistent throughout your paper. Again, this helps to bolster your credibility. Perhaps the most important part of the nitty-gritty Top Ten: Make deadline. Always. Make deadline. Always. Plan, communicate and focus your efforts so that everything—everything—is done by deadline. 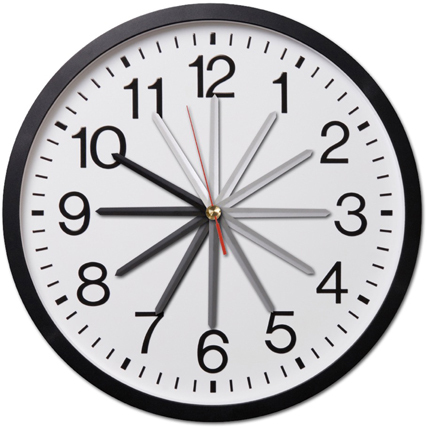 Failure to make deadline often results in cutting corners and hurrying your design efforts. And consistent failure to make deadline will result in a design that is consistently poor. There’s my top ten. Would you add anything to the list? Sub something else for one of these? What do you think? ED HENNINGER is an independent newspaper consultant and the Director of Henninger Consulting, www.henningerconsulting.com.